Bb. Pilipinas 2014 winners and live results are posted below. The 51st Binibining Pilipinas Grand Coronation Night, which is hosted by Anne Curtis and Xian Lim, is happening right now at the Araneta Coliseum. 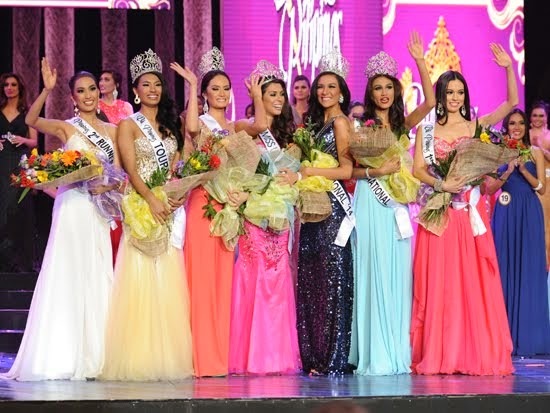 My other choices for the Top 15 are: #1 Julian Aurine Flores, #7 Aiza Faeldonia, #11 Laura Victoria Lehmann, #14 Emma Mary Tiglao, #15 Kimverlyn Suiza, #17 Diana Arevalo, #22 Mary Anne Bianca Guidotti, #23 Nichole Marie Manalo, #27 Hannah Ruth Sison and #30 Joy Marie Gangan. Will my predictions turn right? That we have to see. JUDGES include Jeron Teng, Korina Sanchez, Cory Vidanes, Sen. Sonny Angara, Miss Universe 2013 Gabriela Isler & more.